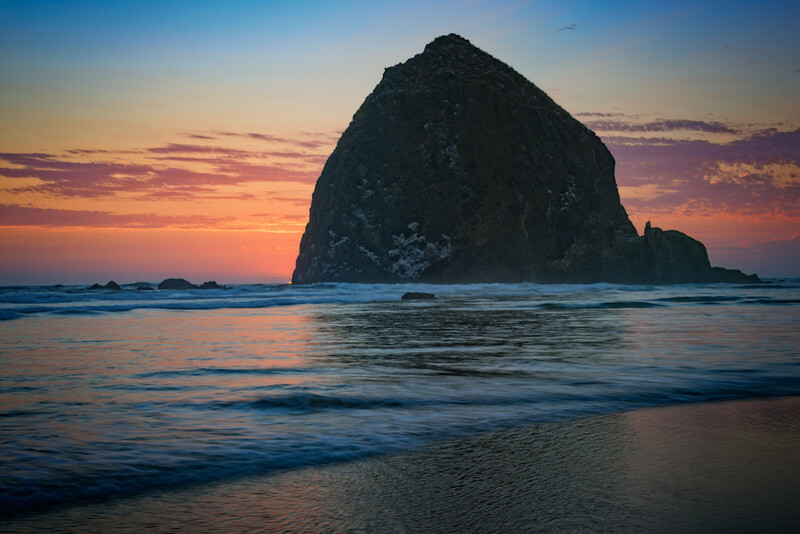 Haystack Rock basks in the glow of the evening sky as the sun sets on Cannon Beach, Oregon. The sky glows as the sun sets behind Haystack Rock on Cannon Beach, Oregon. Haystack Rock is a 235-foot sea stack in Cannon Beach, Oregon. It is sometimes claimed locally to be the third-tallest such "intertidal" structure in the world, but there are no official references to support this.